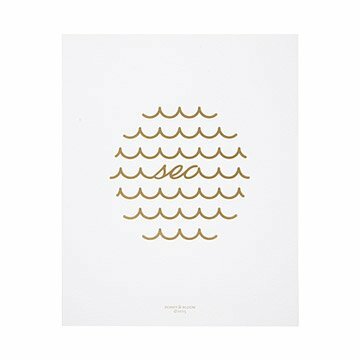 It's high tide you added this gilded print to your collection. She always insisted on having a waterfront view. Bring a bit of the coast to your gallery wall with the lustrous waves of this seascape art piece. Golden metallic foil is stamped onto weighted white paper through a traditional letter press, giving this piece an ever-current style as your decor ebbs and flows. Made in California.